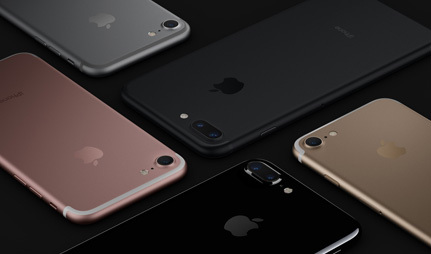 iPhone 7 Plus features stereo speakers and Apple's fastest chip to date, with the added bonus of a stunning 5.5 inch HD Retina display, as well as advanced camera features. Read the rest. £716 total cost over 2 years What's This? £719 total cost over 2 years What's This? £795 total cost over 2 years What's This? £807 total cost over 2 years What's This? £834 total cost over 2 years What's This? £835 total cost over 2 years What's This? Combining a seamless unibody of pristine glass and aluminium, iPhone 7 Plus combines traditional colours with the brand new Black and Jet Black finishes. This stylish design also carries a waterproof rating of IP67, meaning it can withstand spills, splashes, and even the occasional shower. Offering a larger design, iPhone 7 Plus features a 5.5 inch HD Retina display which is Apple’s most bright and colourful screen on an iPhone to date. Offering a Wide colour gamut, this display is also 25% brighter than previous models for realistic vibrant images. The popular 3D Touch feature is also present for ease of navigation. 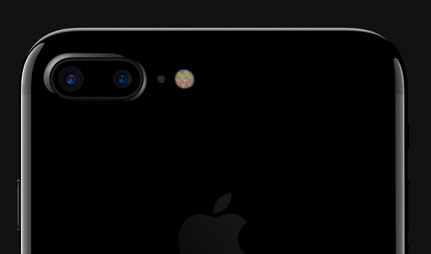 The camera on iPhone 7 Plus combines two lenses that shoot as one. With both a wide-angle and telephoto lens, this 12MP camera system offers high-quality results that look better than ever. 2x optical zoom and 10x digital zoom let you get closer than ever to the action, while a new depth-of-field option adds a professional effect to portrait shots. An aperture of f/1.8 ensures great results even in low light, with a Quad-LED flash for when extra light is required. The front of iPhone 7 Plus also features a 7MP camera for bright and colourful selfies, with a Retina flash included for darker situations. Enjoy digital quality audio on iPhone 7 Plus, thanks to new EarPods which connect to the lightning port. 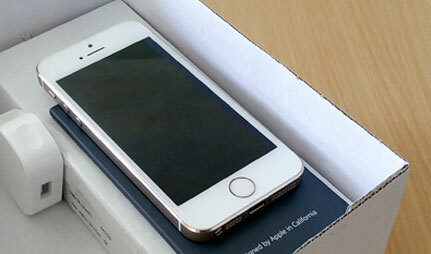 Traditional 3.5mm earphones can also still be used via the audio adaptor which is also included in the box. For an all new headphone experience, combine iPhone 7 with Apple’s new AirPods (sold separately) which connect via Bluetooth for high-quality wireless audio. This is also the first ever iPhone to arrive with stereo sound, provided thanks to a second speaker at the base of the handset. 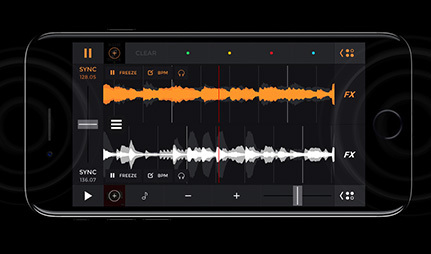 With 2x the audio output of iPhone 6, you’ll experience a dynamic range of sound that’s louder and clearer than any iPhone yet. 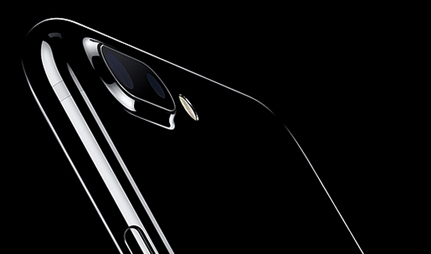 Powering iPhone 7 Plus is the A10 Fusion chip – the most powerful chip Apple have ever made. This intelligent chip offers extra processing power when needed, while conserving power during low-demand tasks. With four-core architecture, the A10 provides an efficient experience, that makes iPhone 7 Plus up to two times faster than iPhone 6. This also leads to improved battery life, with up to an hour’s more use between charge than iPhone 6, making this Apple best performing battery to date.